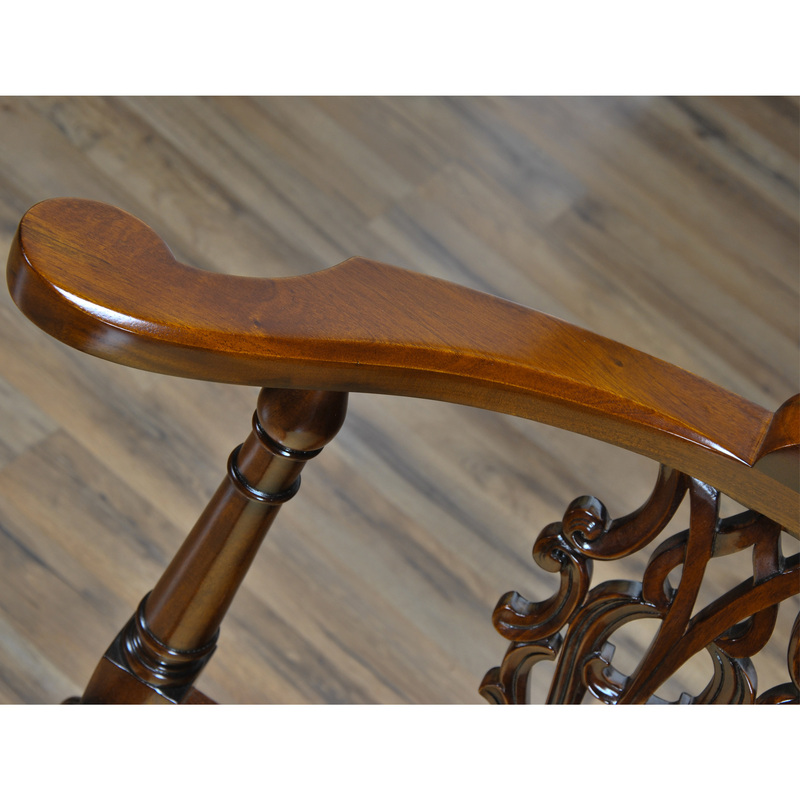 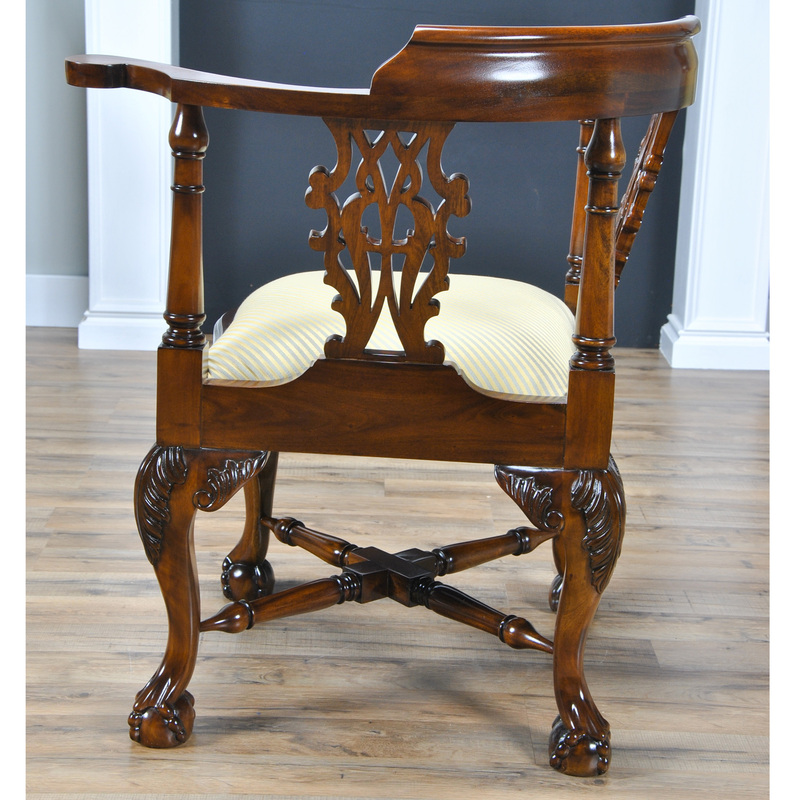 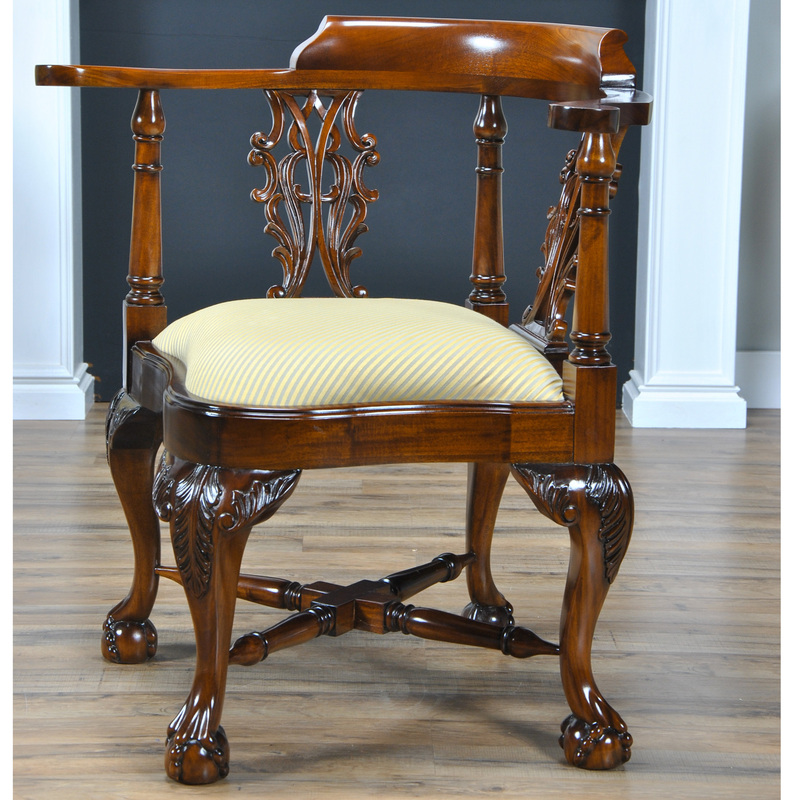 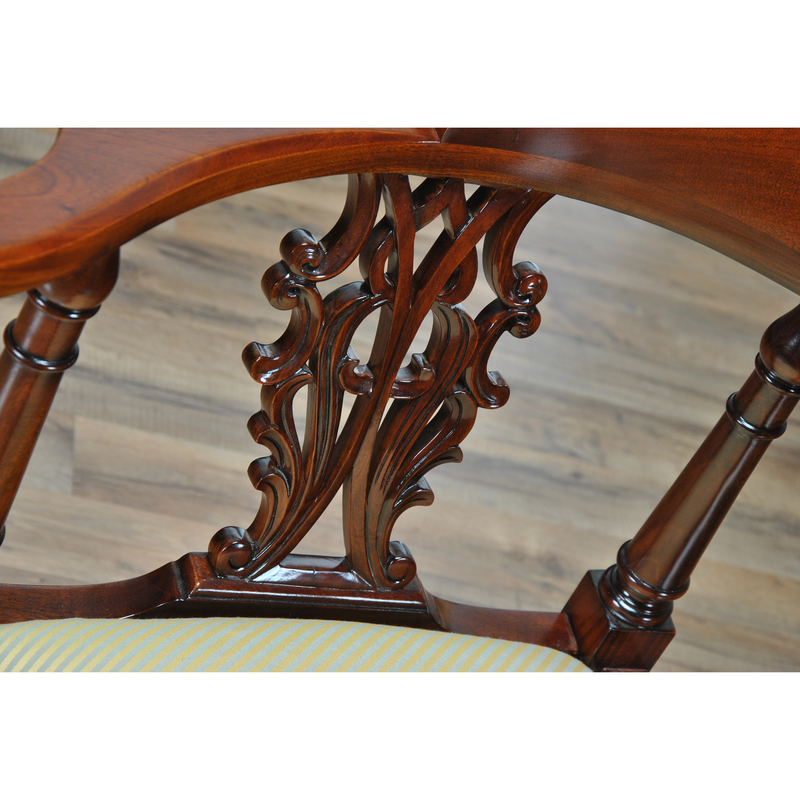 A high quality, hand carved, solid mahogany Large Corner Chair as created by Niagara Furniture. 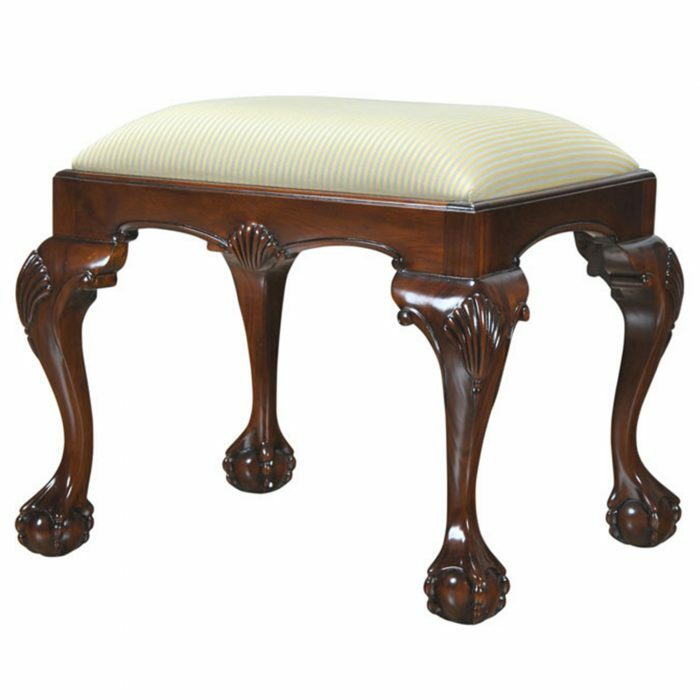 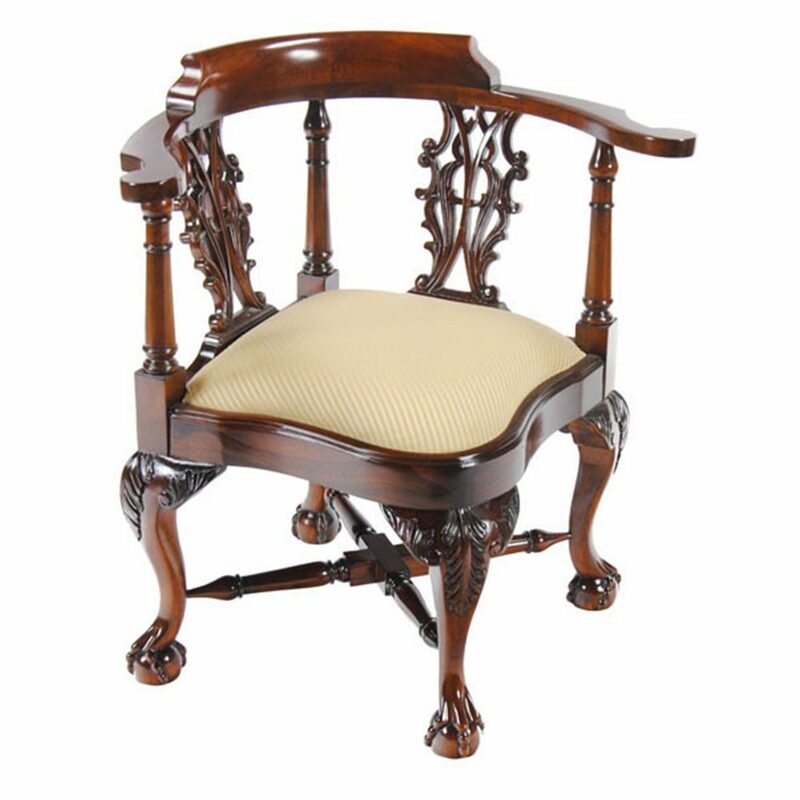 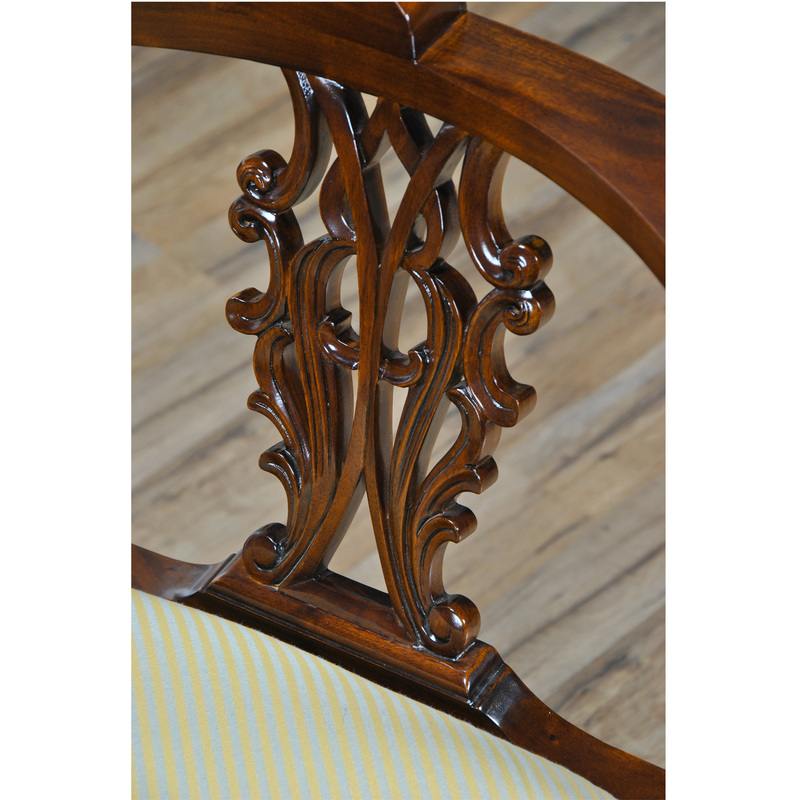 Our Large Corner Chair features hand carved acanthus leaves on the knees and scrollwork in the back splat all executed by hand using traditional methods in solid mahogany. 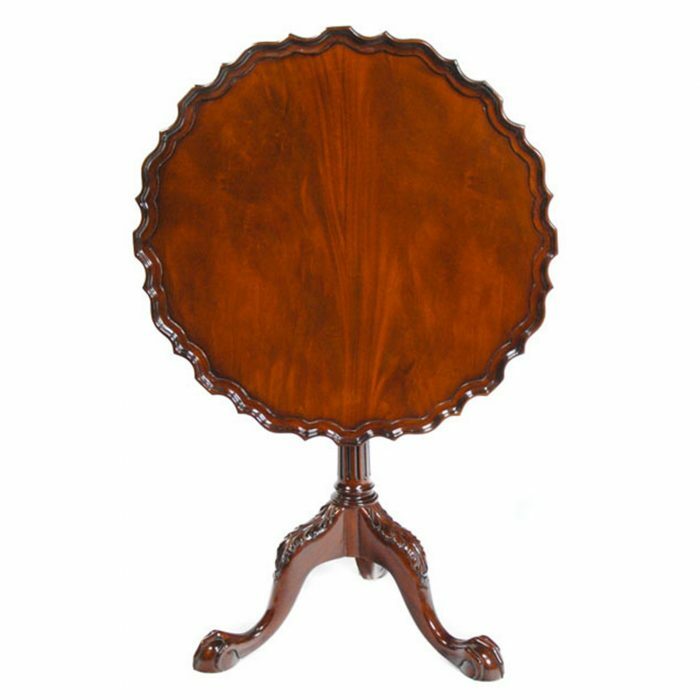 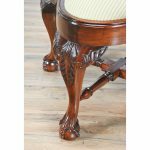 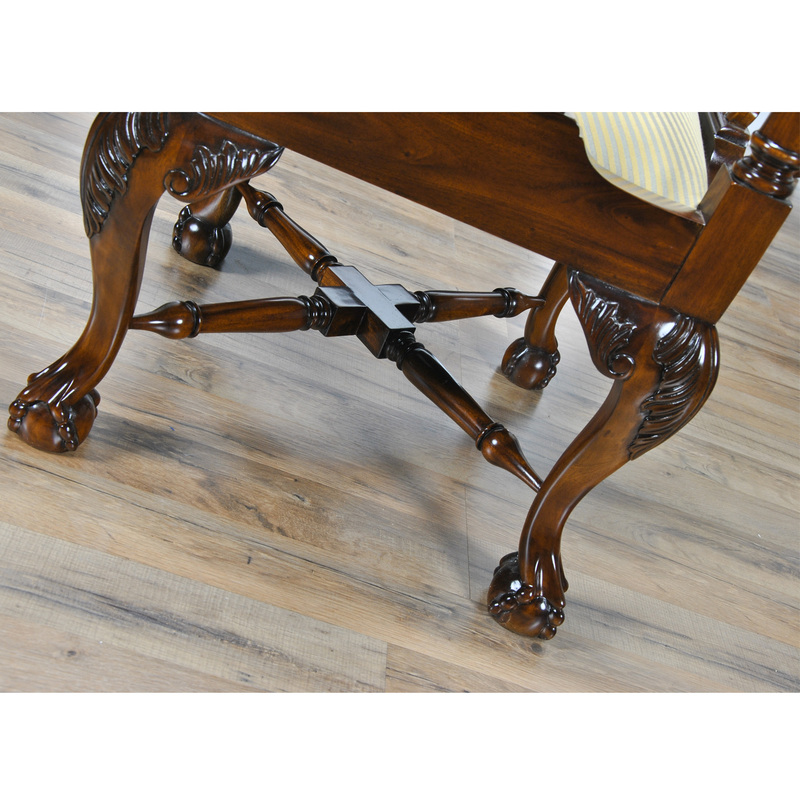 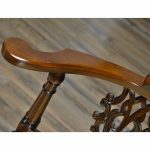 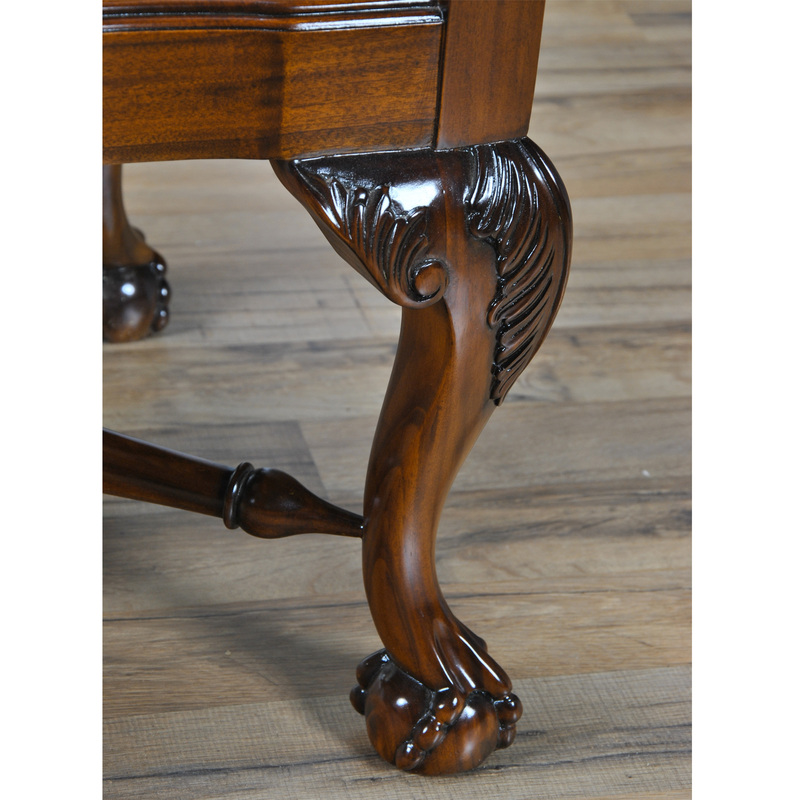 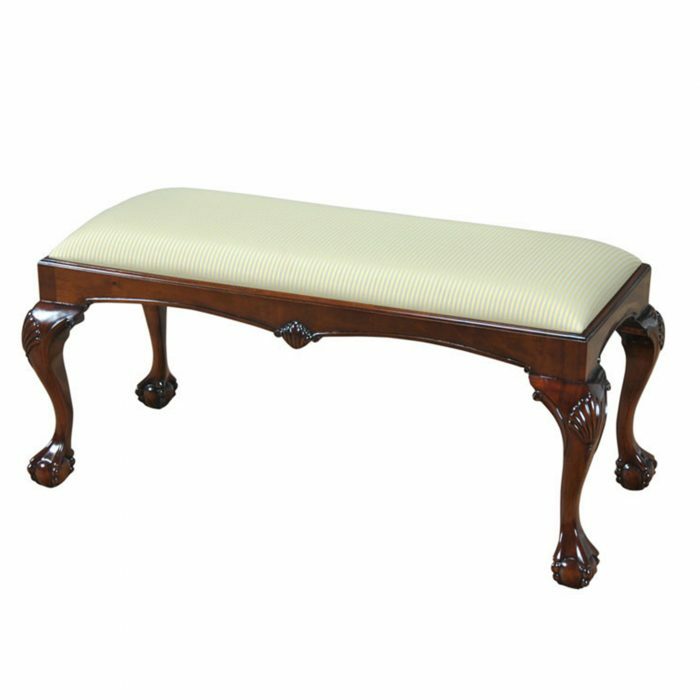 Standing on four cabriole legs with carved ball and claw feet in the Chippendale style the cross stretcher base will help the item remain solid for decades to come. 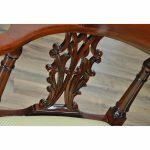 Chair ships with a drop in seat covered in our most popular upholstery, this can be easily removed to replace the upholstery to suit your needs.